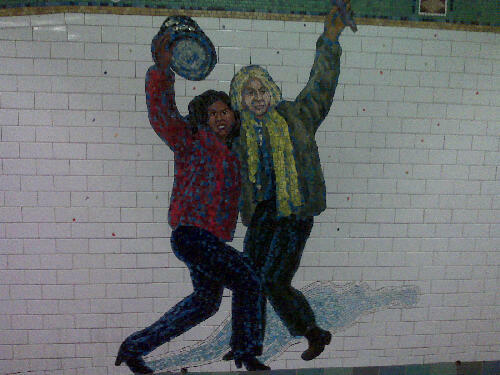 So this is part of a wall in the subways of nyc. And I’m thinking is this supposed to be michelle and hilliary?? ?